The Xiaomi Company has revealed another new Mi Max series of the smart phone and it is called the Mi Max 2, which is featured with some upgrades and the downgrades. This handset is available in China but it can be expected in the Pakistani market very soon. This handset will be available at the price of CNY 1699 and Rs.26,000 for 64 GB version and it is also made available for 128 GB version and it has the price of CNY 1999 and Rs.30,000. The smart phone, Mi Max 2 has the features of similar full metal unibody build and the antenna lines are more discreet and it is skirting at the top and bottom of the mobile phone. The display of the mobile phone has been improved with smaller bezels and it has 6.44 inch Full HD IPS LCE screen. The smart phone Xiaomi Mi Max 2 is added with primary camera, 12 MP Sony IMX386 sensor with Phase Detection Autofocus and the dual LED flash. 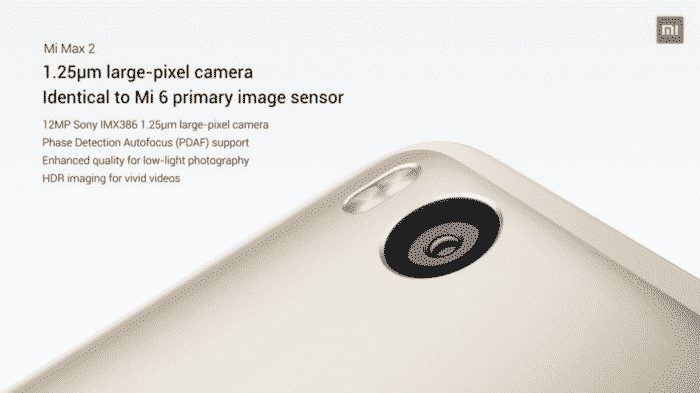 It has the features of came camera sensor to be used in Xiaomi Mi 6 and you can expect top notch camera performance. 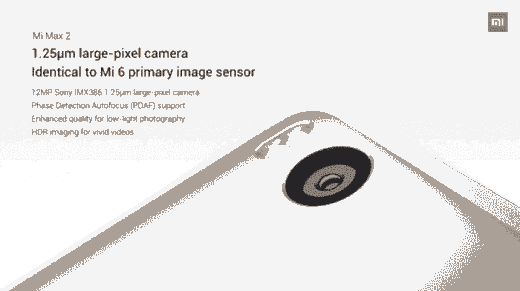 The front camera of the handset is added with 5 Mp shooter. The battery of the handset has been upgraded from original Mi Max and this handset has stellar 5300 mAh battery, which can last for 3 days of usage. It also supports the Qualcomm Quick Charge 3.0 which can charge it up to the 66% in an hour.